I enjoy Halloween and figured I better get this years pictures scrapped. This is my daughter also known as "Thing 1"! haaa I love this costume. 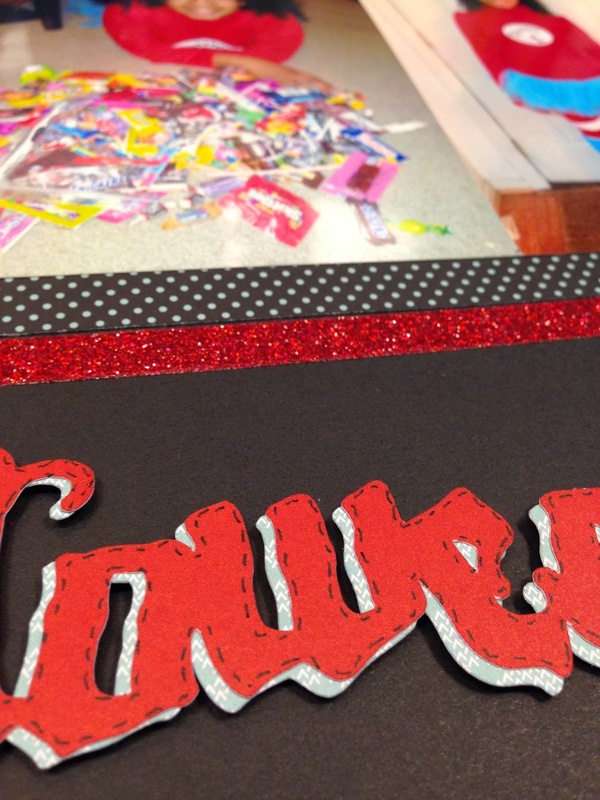 I used Black and Ruby card stock and Snowhaven paper. The red shimmer trim added some shimmery flair. I like faux stitching so I doodled around the edges with my CTMH Metallic Markers. 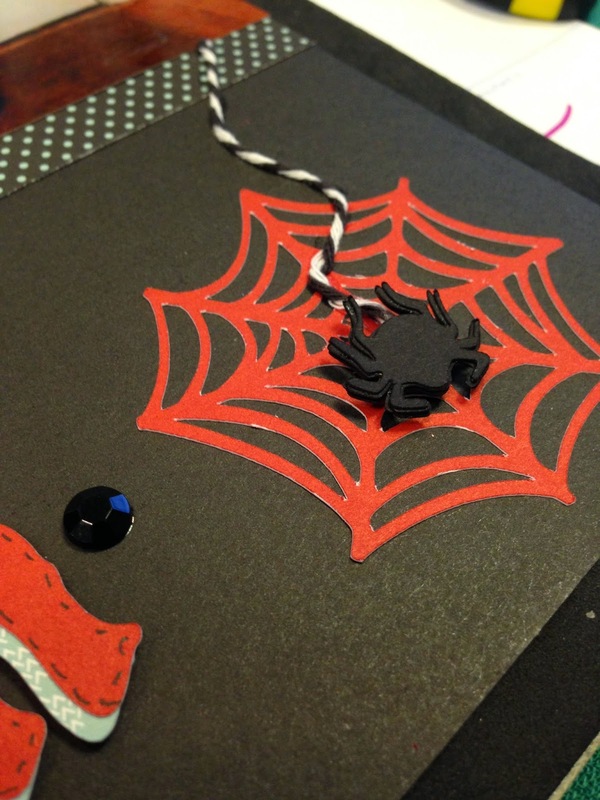 This spooky spider was great for this page. I cut the same size spider 7 times and glued them on top of one another giving it dimension. I added a piece of Bakers Twine as his spidey trail. The cuts come for the Artiste cricut cart. The title and spider is from pg 77. The web is from pg 76. I love shimmer trim! It comes in a variety of colors and is an easy embellishment that helps to enhance your creations easily. The title I added 3-D tape to give it some dimension. Again added some faux stitches with my journaling pen. 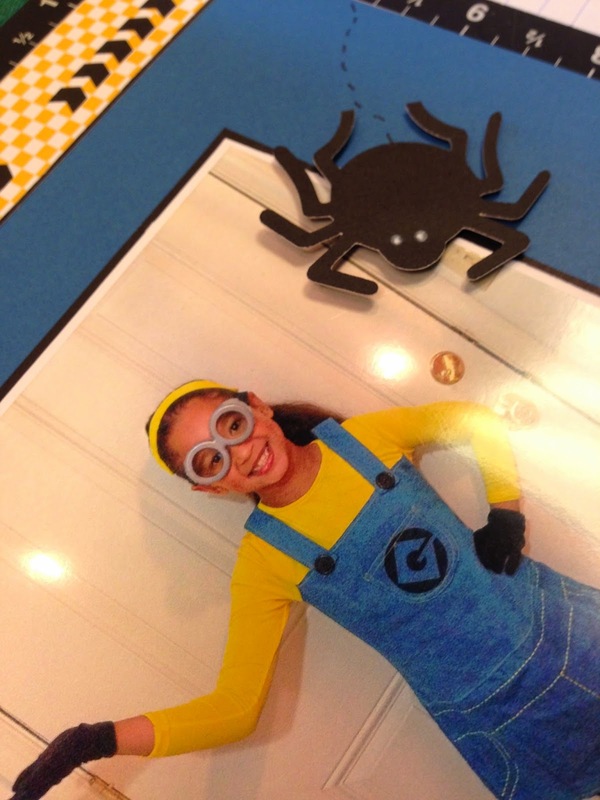 There is my younger daughter gracing our presence as a "Minion". Too darn adorable!! I used Confetti Wishes paper pack. 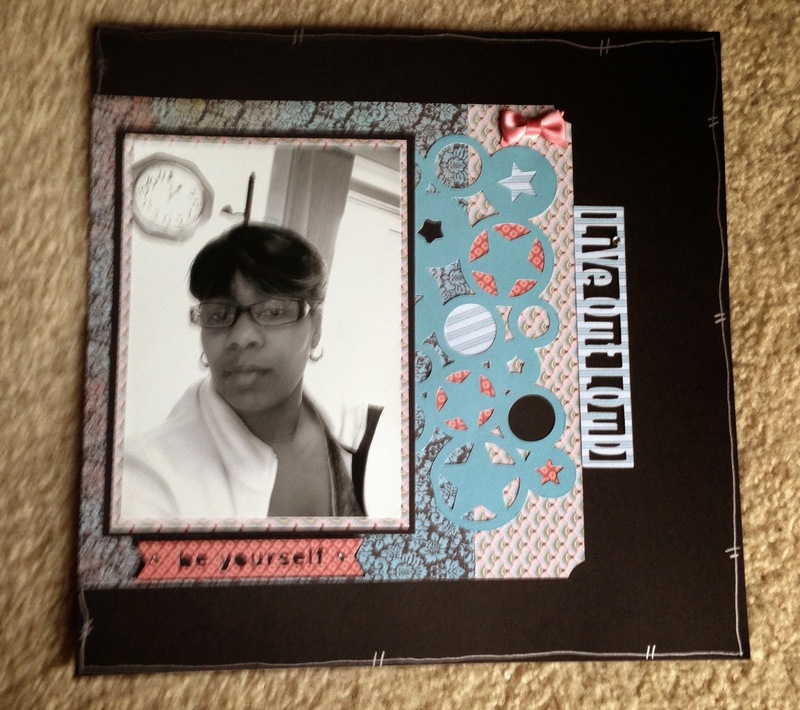 I added some stamping to this layout using the Geek Is Chic and True to Life stamp set. The arrow was cut from the Art Philosophy cricut cart. 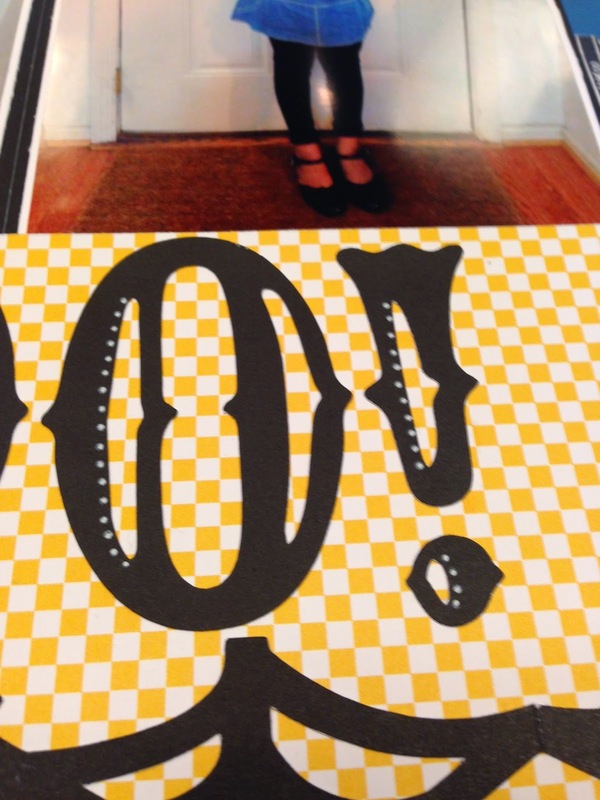 The border at the top of the layout was created using the Chevron Border punch. 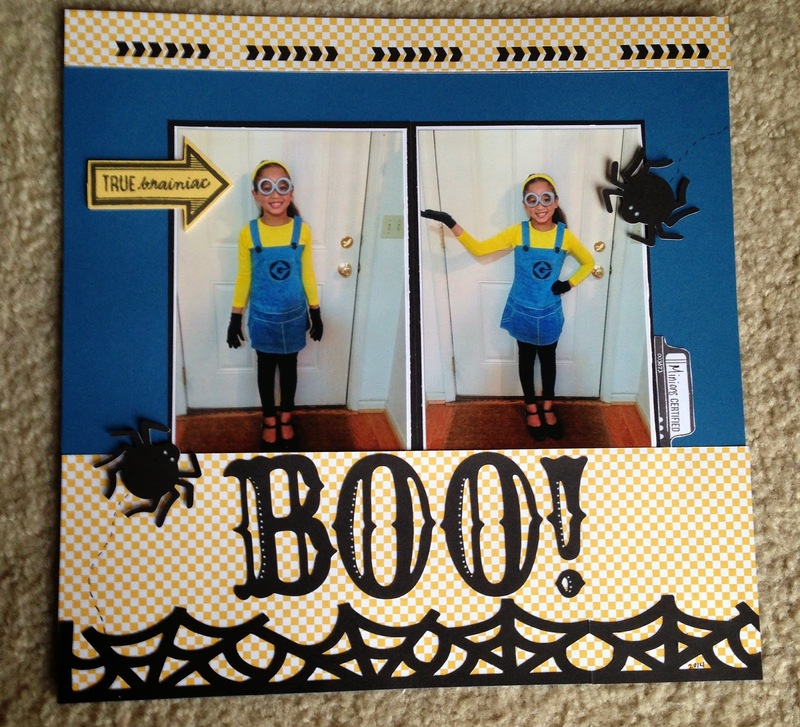 The spider was cut from the Artiste cricut cart pg 77. Artiste was again used to cut the border from pg 76 and the title from pg 77. I used a white pen to enhance with dots. Do you love washi? 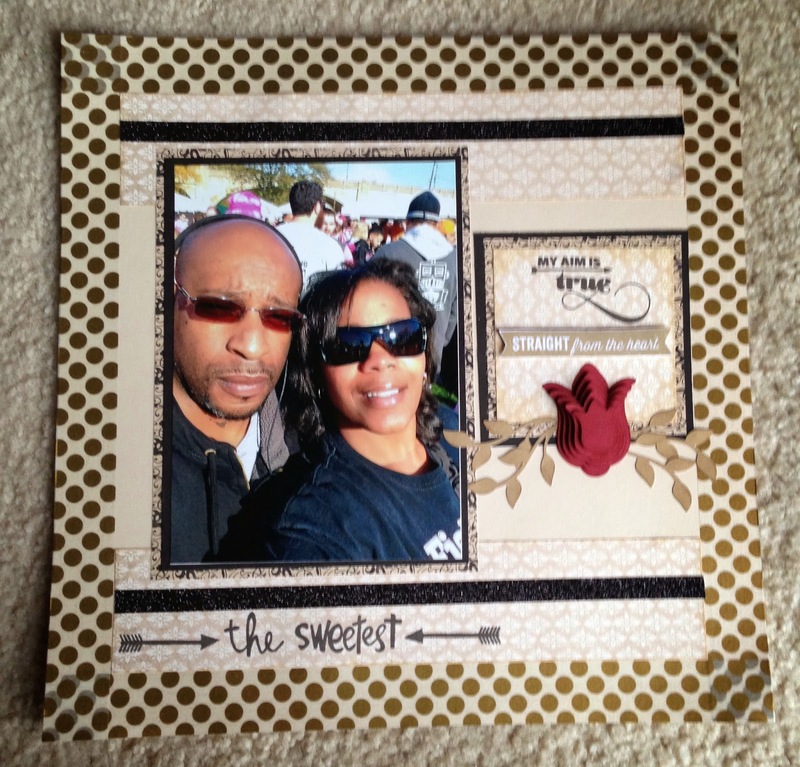 Well I love this Gold Polk Dot Washi which I used to frame this layout. The paper used is from the Yuletide Carol paper pack. "The Sweetest" title was stamped using the December SOTM "Cutie Pie". Of course I had to add some black shimmer trim!! The stamp set is from the upcoming January SOTM "This Moment" (not released just yet). The flower and leaves were cut from Artiste pg 74. I cut the flower multiple time at 2, 1 3/4, 1 1/2, 1 1/4 and 1 inch increments. I distressed and used 3-D foam tape to add dimension. Love how it turned out!! I used the retired "Ariana" paper for this layout. This is me in black and white. I used Artbooking for the cuts. The title "Be Yourself" comes from pg 41. The overlay in Crystal Blue card stock is from pg 64. I used my CTMH Metallic Marker for some random doodling around the edges. "Live Out Loud" was cut from pg 44. I cut it twice and glued it together with my Bonding Memories Glue Pen to add dimension. 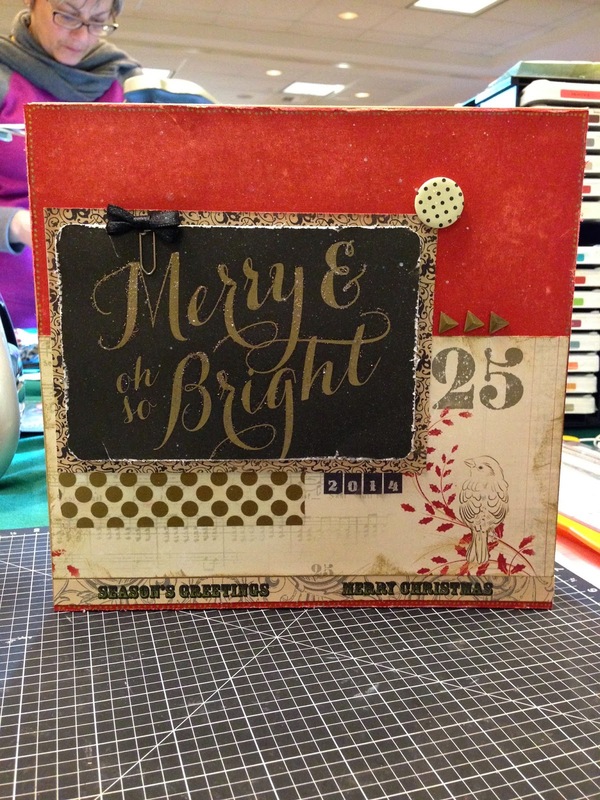 Last but not least Denise gave use each a piece of Yuletide Carol paper and a 3 Ring Kraft Binder. 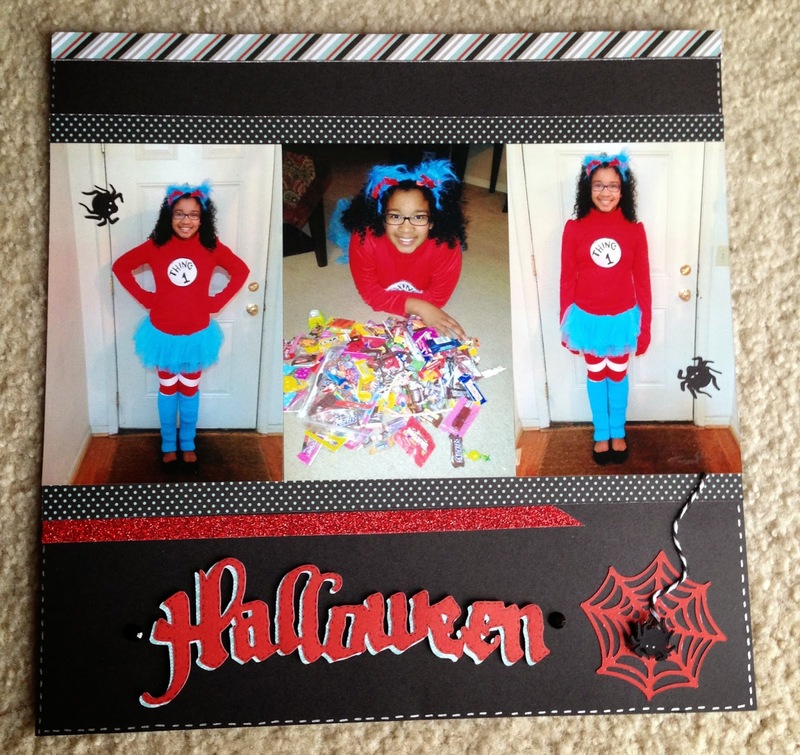 She had a contest requiring you to cover the binder and have other participants of the crop select a winner. The rules were you had to use the binder, Yuletide Carol paper, My Crush Holiday Happenings Badge Buttons and My Crush Holiday Happening Assortment. Here is my finished cover and it was the WINNER!!! I also added some Gold Polk Dot Washi and Triangle Studs. A side note you can cut inside pages for this binder from the Artbooking cricut cart!! When I figured that out I was excited to make plans to construct a binder to capture the 25 Days til Christmas!! You can use any of the 8x8 mini album pgs with the 3 hole punches. An example is on pg 38 under "Photo Mat". Make sure you explore the book there are tons of pages you can add. To end the night we indulged in a waffle with toppings of your choice. I went for my fav...vanilla ice cream, strawberries and whipped cream!! YUMMY! Nice LOs,, like the multiple cut layering and doodling! Love your layouts! 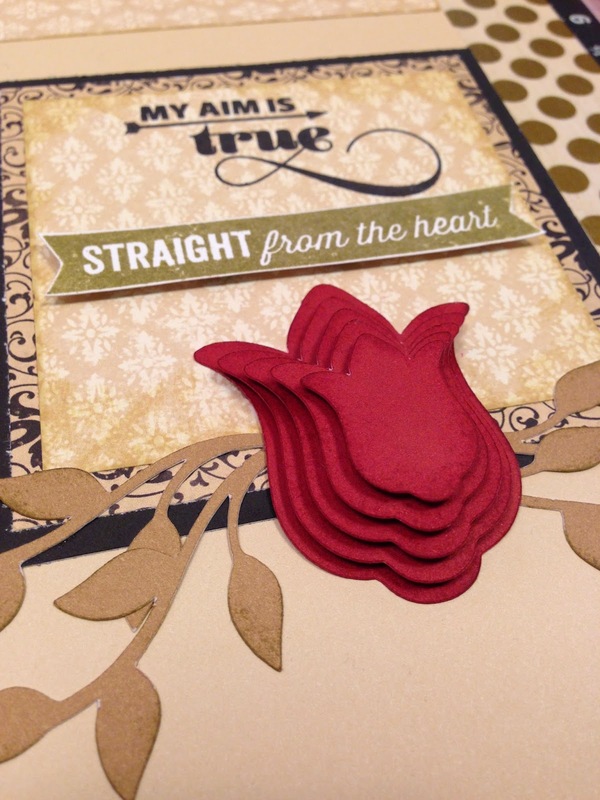 Smart idea to cut embellishments several times and layer them together to add dimension. Beats trying to fool around with cutting chipboard.